It’s very easy as a mum to get lost in all of the things we need to do. All the laundry and the dishes, wiping kids noses, changing dirty nappies, nursing, feeding, runs to school, meals to cook, games to play, tantrums to sort out, floors to clean, tables to wipe, baths and stories and bedtime routines. On top of that are all the things we want to do but don’t have time for, parenting books to read, new recipes to try, homes to decorate, crafts to create, the lists go on and on. And we can always make lists and always find something we need to do, that it’s very difficult to find time for ourselves, let alone find time to let our hearts come alive. Yes we are mums who care, nurture and give our all for our kids. But we are also young girls, wives, daughters, friends, and women with big dreams and visions that have been stored up in our hearts for years! One of my favorite verses in the Bible is that of Mary. She was a woman who had a big plan all laid out before her, her life was about to change as she would give birth to the son of God. But among all the craziness and confusion, she knew what was right to store in her heart. She stored treasure. When I read this I always ask myself what am I storing in my heart? Am I storing all the negative things of my day, the tough stuff. Or am I storing all the wonderful moments with my kids and the dreams and visions have for them and me? Mary wasn’t keeping her to do lists in her heart, all of her bent up emotions, or all the offenses towards her husband of what he hadn’t done to help her, she wasn’t storing all her failures as a mum, or all her mum guilt and she didn’t hold high her disappointments of what she hadn’t achieved in life and may never will. She remembered the good stuff, and she kept her dreams and visions alive, she stored her passion there and she actively remembered them, rather than letting them get dusty in some forgotten corner. She was a woman of wisdom who knew what to store in her heart and what not to! I’ve already written about how my husband urged me to do what I had longed to do, write to inspire and encourage others. (See my blog post, why I started to blog). It was a dream I had been keeping in my heart since I was a little girl and wrote stories in the shed down our garden, stories of families of wood lice and mice. That dream got buried in the bottom of my heart under all the study and work and things I had to do in my twenties, and it became a stale dream that would probably never come to fruit. After I had kids all thoughts of my own dreams drifted out the window. I didn’t feel like I had a right to my own dreams. My idea of mum life was to solely nurture my kids now. I could work and look after them and that’s what every good mum should do. I was trapped in my stereotype of mums and all my own dreams had been forgotten. But the truth is as mums we need to have dreams and seek visions for our own lives not just our kids! We inspire our children to live bigger. 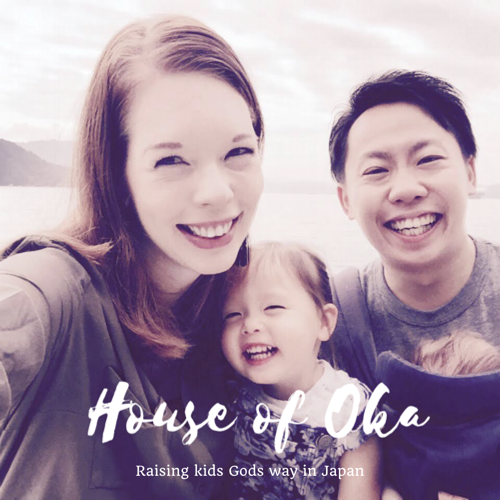 We get a sense of fulfillment in our own lives which means we can give more to our kids and family, rather than feeling drained or malnourished of passion. We get closer to God and what he is calling us to do. And we can feel alive, on fire and full of passion as we bring the secrets of our hearts alive. So I want to encourage you, don’t give up dreaming after becoming a mum. It’s easy to feel satisfied, that you have had your kids and achieved your goal. But your life isn’t over yet. Even if its a small dream, God wants you to dream it, live it and fulfill the vision your heart is calling you to. So here are four ways to encourage you to keep those secrets of your heart alive and not let those dreams and visions get dusty and forgotten! What is God speaking to you about your dreams? First seek God’s word, read the bible and write down what he is speaking to you about your future and act on it. Don’t limit yourself to what you think you should be or to what your stereotype of a mum should be, or even to what people are telling you, you can achieve or do. Search your dreams, all of the things you have treasure in your heart, remember them, write them down and hold those dreams close to your heart. Write down your visions and your dreams, you will be able to look back on them in the future and see yourself living them. Sometimes its good to have a break and a little you time, away from your family, or the people you usually hang out with, and spend time by yourself or with other people of different generations too, or people who are in different stages of life to you and be ready to learn from them. I have often been inspired by my friends who are younger than me, or doing different things, they have encouraged me to imagine bigger and greater things. Share those things with your husband or the person closest to you. When you share your visions and talk them through, not only do you ignite passion and fire for it, but you take a step to make it come alive, rather than just let it become a dream. That person is also able to spur you on to achieve your dream and encourage you every step of the way. Your dream is out there waiting for you to live it! Let me know: What are your dreams? Or what have you done to make the secrets of your heart come alive? My biggest dream is to nurture a spiritually upright family while inspiring others by what they see in us and through my writings. Always love to make today better than yesterday. Putting a smile on someone’s face is a phrase I love to resonate with. If I make God happy, He cares about me too and puts everything in its rightful place. He always rewards my efforts. That’s a great vision Judith! I’m glad to hear you are living out your dream! Thank you for sharing your story and for inspiring your children and others! Like you, I want to use my God-given gifts to encourage and inspire. I’m a mom, too, and I find that gives me new opportunities to do just that! Thanks for reading and sharing Laura! I’m sure God is using you to inspire your kids too! My children’s success and salvation are my biggest hopes and dreams. After that, for myself, I want to be a published author and encourage women who’ve suffered in relationships. That’s great Melanie! I also have a similar dream! I’m sure God is going to make the purpose in your heart come alive! Thanks for sharing!